This is one of our favorite things to eat. 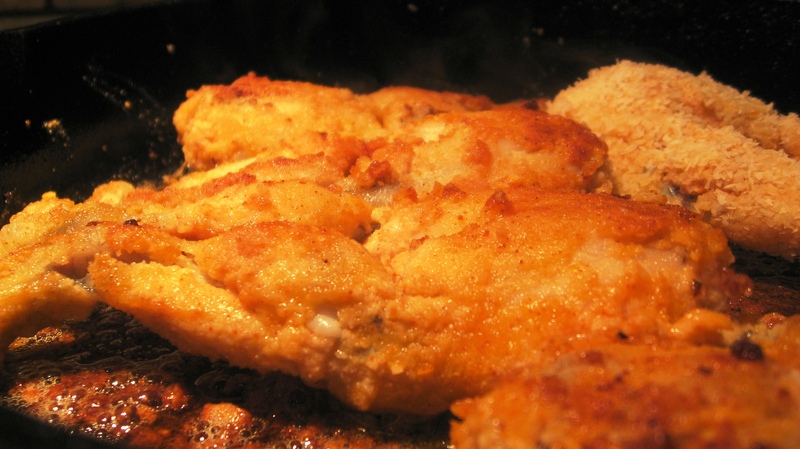 The meat is very tender and tastes a little like Halibut cheeks meets super tender chicken. We purchase ours from a local Asian market as they otherwise sometimes difficult to find. The frog meat is very lean and will work well with more complex side dishes if you so choose. Our recipe yields 18 pair…yummmm! Mix coconut flour, black pepper cayenne, chili powder and sea salt – set aside for battering. 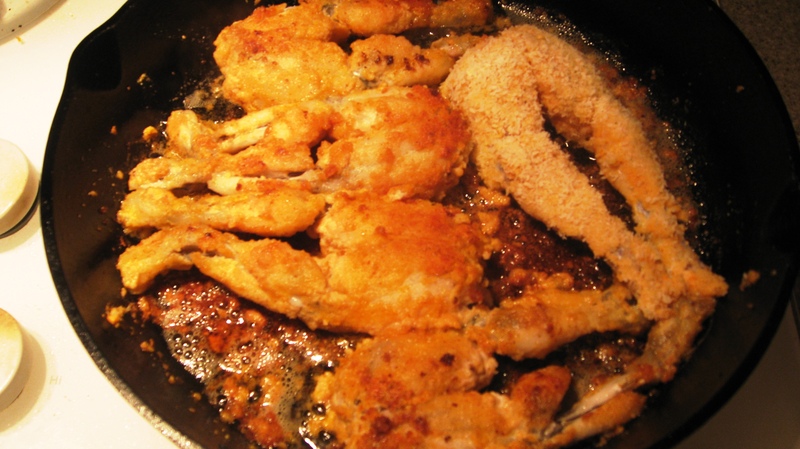 Dry the frog legs off with paper towels, quickly dip into fork whipped egg, and roll legs into the coconut batter mixture, dip them into the egg once more and roll into the coconut flakes. Pat gently before placing them into the hot coconut oil. Heat your favorite pan, we used our cast iron skillet, and put enough coconut oil in so that the legs are 1/4 covered – make sure that you heat pan to get very hot, then reduce heat to medium heat. 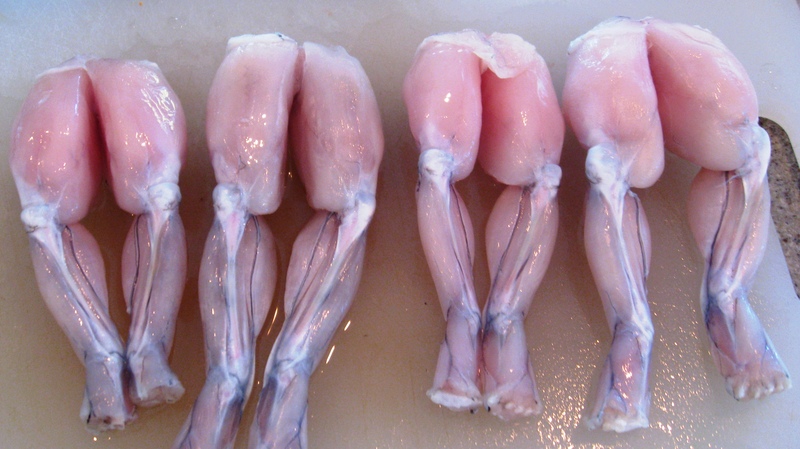 Place your frog legs into the hot oil carefully, until they are golden brown, 3 – 5 minutes on each side should do it.